The dirt’s flying at the new Rainctcher’s Garden-into the new raised vegetable beds on the north field. 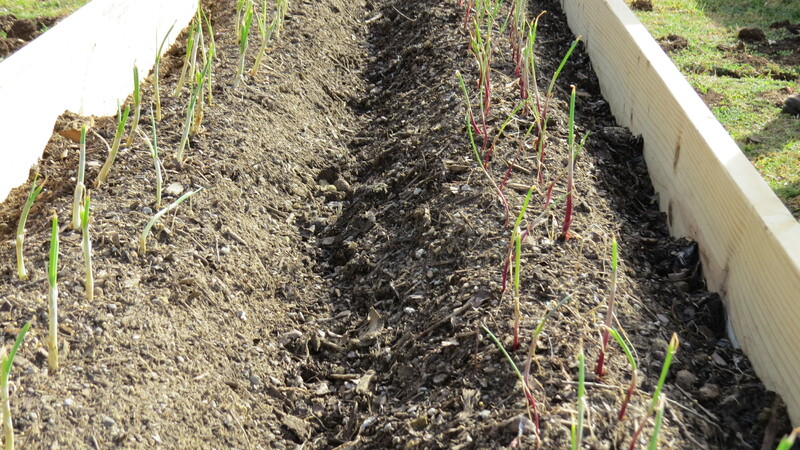 Straight rows of onions stand like little soldiers, the first vegetables planted at the new garden. We planted one bunch each of 1015y (yellow) and Southern Belle Red (red). Potatoes are next! Our First Onions Planted at The Raincatcher’s Garden! 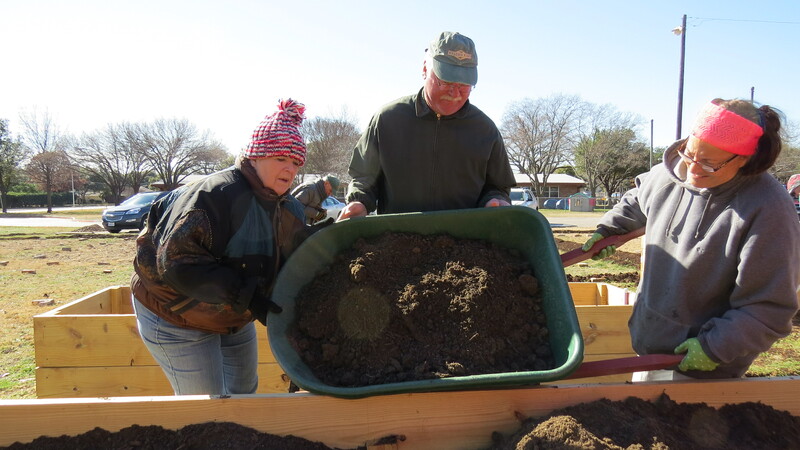 The top 12 inches of the beds have been filled with a generous gift of Vegetable Garden Mix from Living Earth Technology, made of compost, sandy loam, aged mulch, and other ingredients. We topped it off with some of our homemade compost. Living Earth, Sarah, Tim, and Judy! 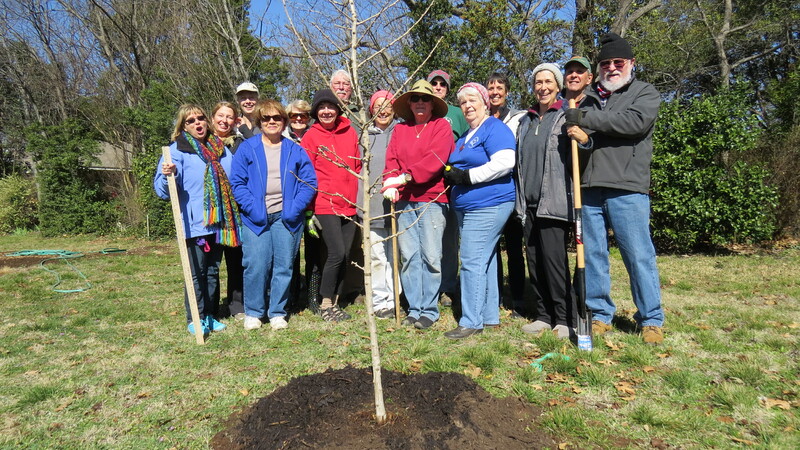 Last week the first of our trees, an urban forest demonstration was planted. Expect to see more about berm building and tree planting next week. Posted in Compost, Vegetable Gardening in Dallas and tagged 1015 Y Onions, Living Earth Technology, Midway Hills Christian Church, Onion Planting, raised vegetable beds, Southern Belle Red, Vegetable Garden Mix, vegetable gardening. Bookmark the permalink.